What if the greatest villain in Gotham City was not The Joker, but Batman? That question is at the core of the epic eight-part limited series BATMAN: WHITE KNIGHT, which featured the writing and art of Sean Murphy. 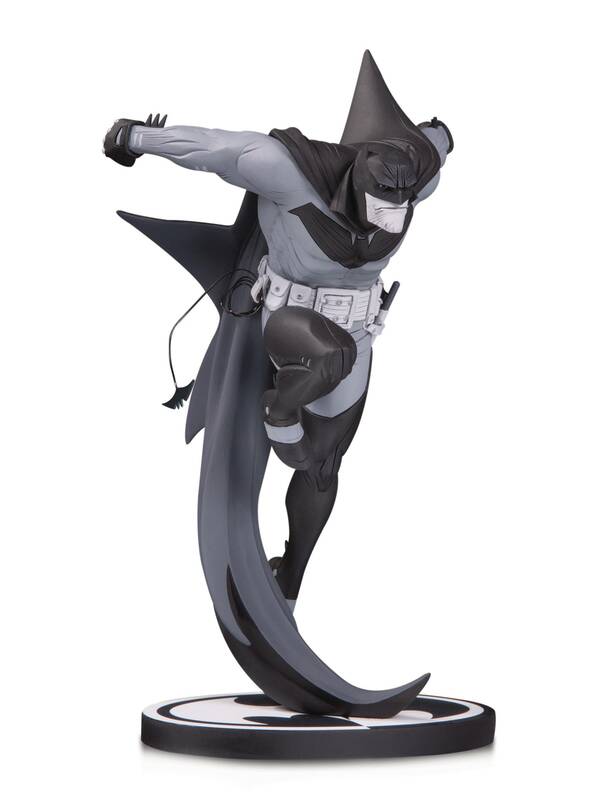 This limited-run Black & White statue captures Murphy's take on an alternate-continuity Dark Knight. Cast in a descending action pose, this is a more unrefined, dangerous and imposing Batman and is a must for fans of Murphy and the Caped Crusader. • Limited to 5,000 pieces • Figure measures 8.2' tall • Allocations may occur • Final products may differ from images shown • Approximately 6 units per carton ON SALE APRIL 2019.